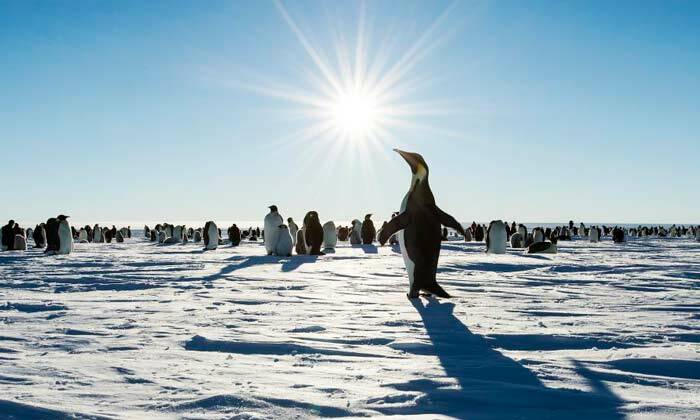 Penguins are found from Antarctica to the Galapagos Islands and inhabit every continent in the Southern Hemisphere. Penguins spend as much as 75 percent of their lifetime in the water, since their prey is found there and includes krill, squid and fish. The biggest population of penguins is Macaroni penguin, with approximately 11,654,000 pairs as of 2015, while the species with the least population is the Galapagos penguin, whose numbers are from 6,000 to 15,000. Most penguins lay two eggs, with the exception of the emperor and king penguins, which lay just one. Depending on the species, incubation times can range from a month to 66 days.